The Ray Gun is one of the most powerful fictional weapons available in Call of Duty: Black Ops 4 Blackout game mode. This guide will help improve your chances of finding one when you play Blackout! 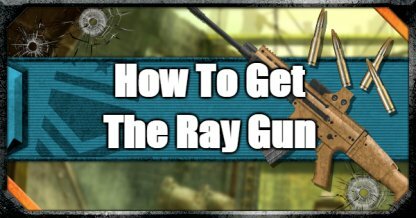 What Is The Ray Gun? The Ray Gun was introduced in previous COD titles as a bonus weapon in the Zombies or Campaign modes. This powerful weapon is popular among COD players and can now also be found in COD: Black Ops 4 Blackout mode as well! Can kill enemies equipped with armor in 2-3 shots. Classified as Pistol, weapon change speed is fast and is a very good sidearm of for snipers. No need to aim for a head shot. Speed of the ray is slow. Blast damage when it connects can also inflict self-damage. Ray Guns cannot be reloaded. Ray Gun is rare weapon and not easy to find. With the methods introduced below, you may increase your probability of getting a Ray Gun! Mystery boxes may appear in areas infested with zombies. Aside from the Ray Gun, Mystery Boxes can contain strong weapons such as MP - 40 and GRAV. A minute after the match starts, a pillar of light will emerge from the ground followed by a clap of thunder. 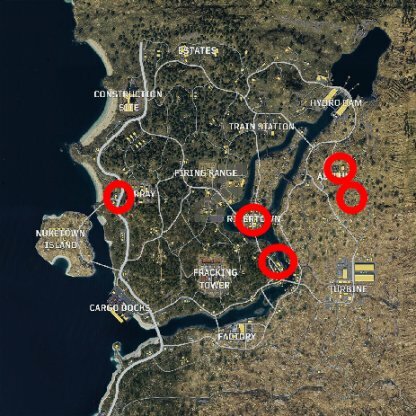 This indicates the location of the Mystery Box on the map which contains strong, rare items such as heavy armor, trauma kits, sensor darts, as well as limited weapons like the Galil MP 40. Zombies can be found in set spawn locations and they can drop a variety of powerful items, including the Ray Gun. Although this has the highest possibility of acquiring the Ray Gun, Zombies are difficult to kill and there is a possibility of alerting other players of your location when fighting them. The marked areas indicate where Zombies can be found. Other than the Ray Gun, you can also find powerful items here not found in other areas such as the Cymbal Monkey, Zweihander, Essex Model 07, etc. The Ray Gun is also very small so it may be overlooked while searching for loot from Zombies. What Comes Out Of The Mystery Box? Heavy armor, trauma kits, and backpacks have a high probability of appearing in Mystery Boxes. Sensor Darts can also be amongst the contents. Powerful weapons can also be inside like the GRAV, Galil MP-40, and the Ray Gun which are very powerful when used early in the game.